You go in hoping for a fun ride. What you get is a limp con job. 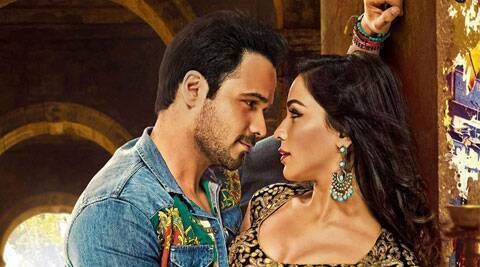 Movie Review Raja Natwarlal: You go in hoping for a fun ride. What you get is a limp con job. A caper flick necessarily has to do a couple of things: it has to have some surprises, and it has to be fun. On neither of these counts ‘Raja Natwarlal’ comes up trumps. This is a film that telegraphs its punches right from scene one – you know exactly how the con is being played out, and who the accomplice is. And that is how it goes. You can tell what’s going to happen next even before the present scene is over. Raja (Emraan Hashmi) is a small-time card-sharp who wants to leap into bigger game. A ploy to do just that goes horribly wrong, leaving him to plot the downfall of cricket-mad bad guy Vardha (Kay Kay Menon). Along comes reluctant guru (Paresh Rawal) to hand out some pro-tips to our hero, and we know how this will end. The middle is stuffed with tepid scenes featuring Raja’s girl (Humaima Mallick) who shakes her stuff in a dance-bar, the con artists getting together and flinging their net, and a couple of corrupt cops who want in on the action, and the planning of the sting. Emraan Hashmi has worked with the director before and the two have done a film (Jannat) which features cricket and the back-room shenanigans that happen when big matches are played. Cricket crops up again. So does hammy villainy: Kay Kay sports a Dawood-style moustache, and vamps it up. Zeeshan Ayub, so good in ‘Raanjhana’, shows up with a gun in his hand, and wanders about aimlessly. There are just a couple of smooth moments. But it’s mostly seen-and-done-before stuff in a plot that shows its holes every once in a while: same old South African safari, same old Hashmi with the busy mouth but even the kisses seem standard, and a Mallick (familiar to Indian audiences from the high-pitched Pakistani melodrama ‘Bol’) who should have been used better. Dialogues such as this ancient one abound: ‘machli ke moon mein kaanta phans chuka hai’. Groan. Just where have all the writers gone?